Do you love to write? Do you want to meet with others who also love to write? 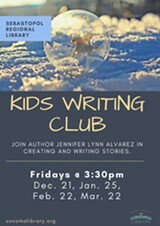 This club is for aspiring young authors who enjoy creating and writing their own stories. 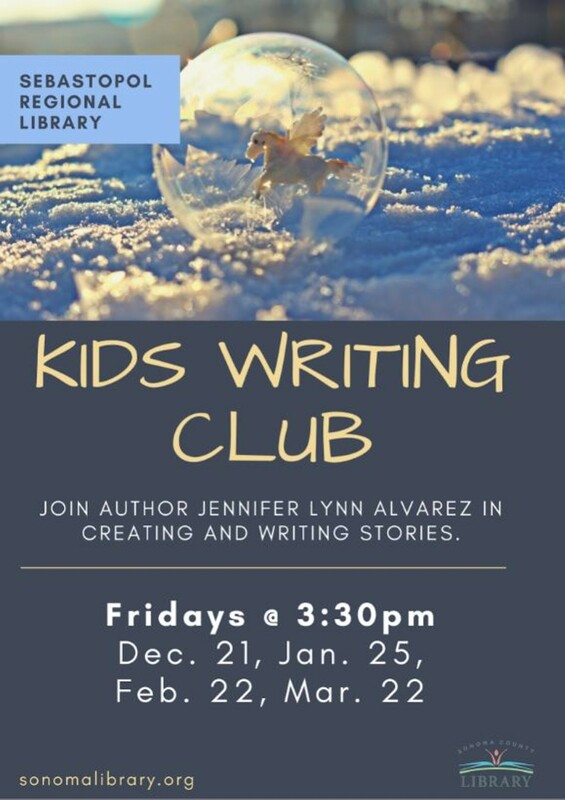 The group is led by local published author, Jennifer Lynn Alvarez, author of the Guardian Herd Series. This is a free monthly event. For ages 9-17.